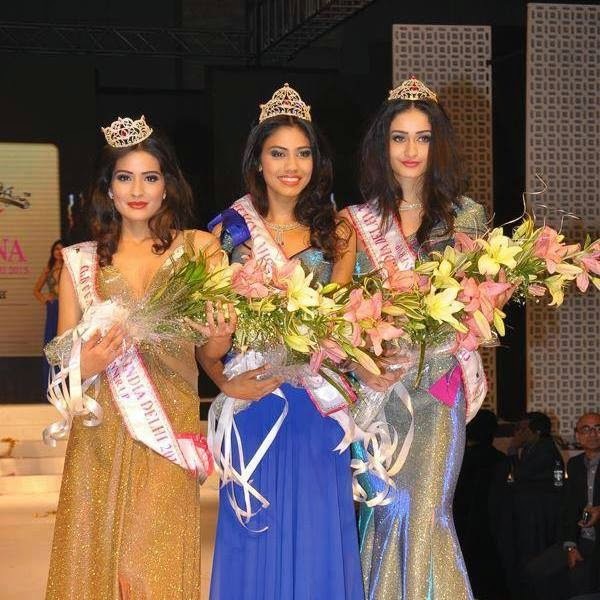 Apeksha Porwal is currently a student based in Mumbai who won the Femina Miss India Delhi 2015. She is currently preparing for upcoming fbb Femina Miss India contest scheduled this year in March. She is currently involved in modelling and appeared in many commercial advertisements on TV. Her name is among the top 30 contestants who will vie for Miss India pageant this year to represent India on international platform. In her early days, she did her schooling from Sulochanadevi Singhania School in Thane, Mumbai. Later on she did her graduation from University of Mumbai. She performed many acts and was recognized to be a supermodel during college days. Her first startup campaign with "Janta Meals" was basically aimed for serving good quality and nutritious food for middle class people and the poor. The campaign is aimed to eradicate the level of malnutrition among small children who couldn't afford to have food twice a day. Apeksha's voice against poverty and malnutrition won her many awards at national and state level. She then started her career as a professional model from 2009 onwards. Her father is extremely supportive and gave her the full freedom to achieve her desired ambition. Apeksha got her first limelight when she won Miss India Teen International in 2009 after her successful stint in modelling campaign. Later in 2010, she won the Vero Moda Only Model Hunt show. Since then, it has been no looking back for her! Her passion to win Miss India title is greatly supported by her family members. Later on she moved to New Delhi as a part of her profession. In 2014, she won the title Miss India Delhi which gives her a direct entry into the final 30 participants who will vie for the title this year. Her career inspiration has been Deepika Padukone and Shah Rukh Khan from the film industry. She is extremely crazy about dancing and travelling across the world. Her warmth and simplicity has been the only weapon for her to communicate with people. She looks to be a stronger contestant for the upcoming pageant title.